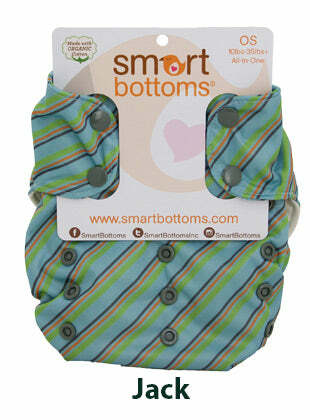 Smart Bottoms Smart One 3.1 All-In-One "One-Size fits most" all-in-one organic cotton interior diaper. Made in USA. One size fits most 10 to 35 pounds. 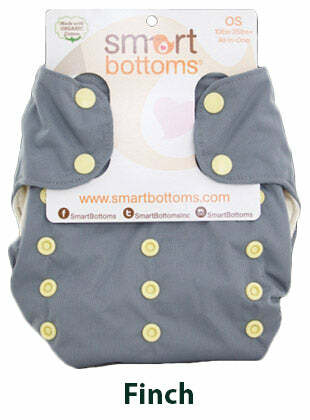 Smart Bottoms Smart One 3.1 One-Size All-In-One Diaper has an organic cotton interior diaper and is made in USA. It is a true all-in-one (nothing to stuff or insert) with organic cotton interior. 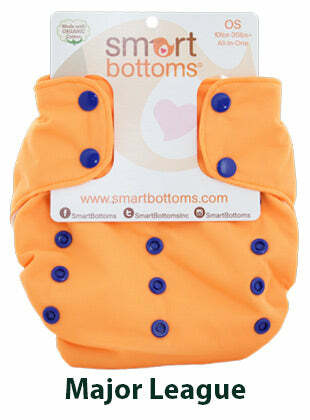 It is also called Smart Bottoms Smart One. Felix and Fido are in stock! Inner: 100% organic cotton. Outer: 100% polyester with PUL. Care Instructions: Prep diaper before first use by washing 6-8 times. Test the absorbency by pouring water onto the dry diaper; it should absorb instantly. If it does not, wash a couple more times and try again. The number of washes required to properly prep the diaper depends on the type of washer and detergent, as well as the hardness of the water. Wash and dry warm. Do not use bleach or fabric softener. Features: Lined with 10 layers of 100% Certified Organic Cotton. Patent pending design allows for quick dry-time. Most machines will dry in one cycle on warm. 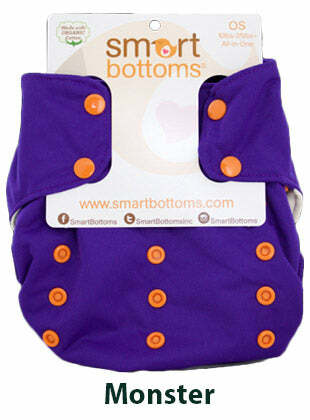 Attached insert can be folded to customize absorbency to where you need it most. I've tried quite a few all in one diapers and this is the only one I really don't like. The insert got twisted weird the first time I washed it and I'm having a hard time getting the fabric to lay flat. Personally, I don't like that the insert is so long; I realize that it's this way so you can fold it how you like it, but I find it really annoying. The worst part for me though is the fit. I read that this had a trim fit which was why I wanted it. My little girl is slightly more lean in the bottom and thighs, so I thought it might fit her well. I don't feel like this fits trim, it seems kind of poofy. Also, the elastic around the legs is really hard to get in a good position. The second time I used it I had urine leak at both leg openings as well as up the back of the diaper. Perhaps when she gets bigger it will fit better, but for right now I don't even feel like I can use it because the fit is so poor. The only reason I'm giving it 2 stars rather than one is because I do like the cotton fiber it is made with. 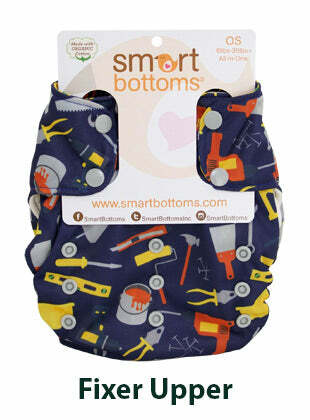 This was the first AIO I bought and I was almost out off cloth diapering altogether based on their performance. This was the first AIO I bought and I was almost out off cloth diapering altogether based on their performance. (I was also using prefolds and covers, so I kept that up while searching for another AIO.) These leak every single time. My daughter is a toddler now and she has always been a heavy wetter. But I can't use these away from home. I really have to work on them each time they come out of the dryer to fold the barrier/liner back into place. My daughter often tugs at them around her legs in discomfort even after I have tried to be sure it's smoothed down and laying properly. I like that they are organic cotton. I like that they are trim. I'm glad they work for some babies, as the other reviews say, but they just aren't doing the job for me. 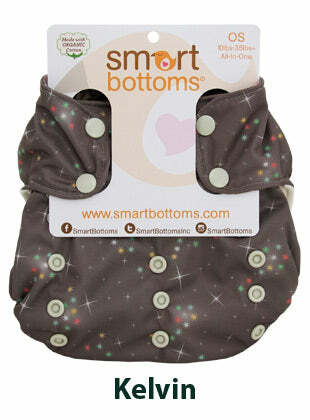 This is one of my top three aio diapers. This is one of my top three aio diapers. I really like the fit on my tall skinny baby and it is very absorptive. Yes, be prepared to prep wash 10 times, but it is worth it. I don't have trouble spraying the poop out, the long flap stays nicely folded in half. The quality of the materials is also very good, so you definitely get what you pay for. Very trim, but seems to run small. Very trim, but seems to run small. my 24 lb 11 month old barely fits in it. I still love to put him in it, but i wish it ran a little bigger for chunky babies. maybe in a second size?? I give it 4 stars because of fit, and because the long insert isn't fun to spray out.